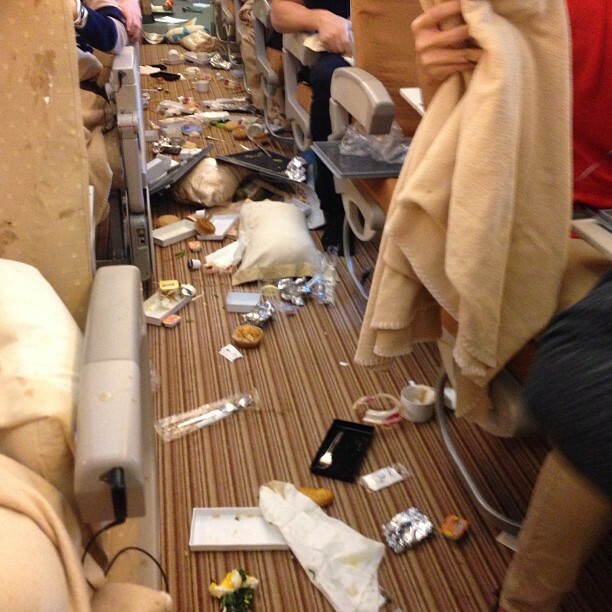 This is what it looks like after you hit severe turbulences during breakfast. 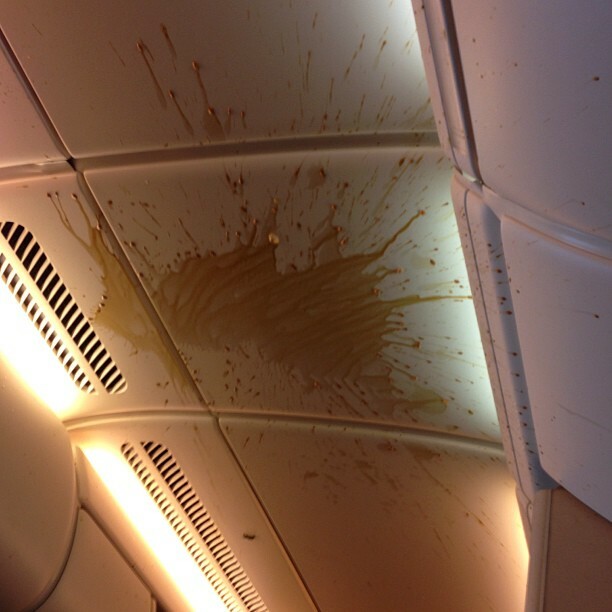 Singapore Airlines flight SQ308 (Airbus A380) en route from Singapore to London suddenly dropped 50-100ft leaving the cabin in a mess, including coffee and cornflakes on the ceiling. Some good pix of the aftermath. However, let’s please call this “Moderate,” not “Severe.” Yes, “Moderate” “iwll make one heck of a mess, especially during meal service. We note only minor injuries. For t he most part, “Severe” includes major injuries and some death. While these pix are very dramatic and demonstrate GOOD REASON to keep you seat belt fastened in some comfortable way at ALL TIMES, this is not in the “Severe” class. Please… report the facts, show the pix, but can the drama.